This weekend was all about last minute elf-like activities: shopping, wrapping, and tidying in preparation for holiday guest arrivals, so I of course I had to don the ultimate in elf colors: red and green. 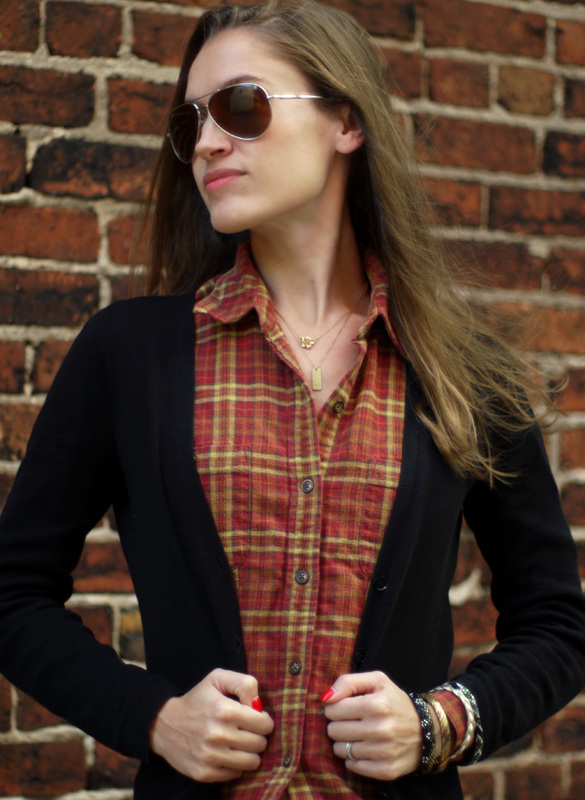 You can only see my true Christmas spirit from the side, though, when both my color-blocked Koral jeans (made in the USA, similar HERE) and my trusty flannel from circa 1995 are visible (flannel last seen HERE, fair trade and festive option HERE, by Ace & Jig). 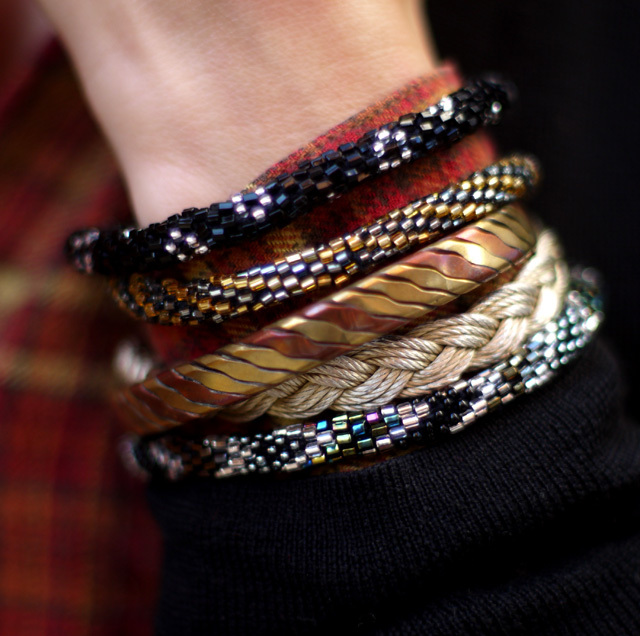 It goes without saying that any Christmas elf worth their weight in cookies needs to sport some sparkle to fully embody the holiday spirit, so I mixed in my new roll-on bracelets-- recently received c/o Aid Through Trade-- into my usual wristwear. 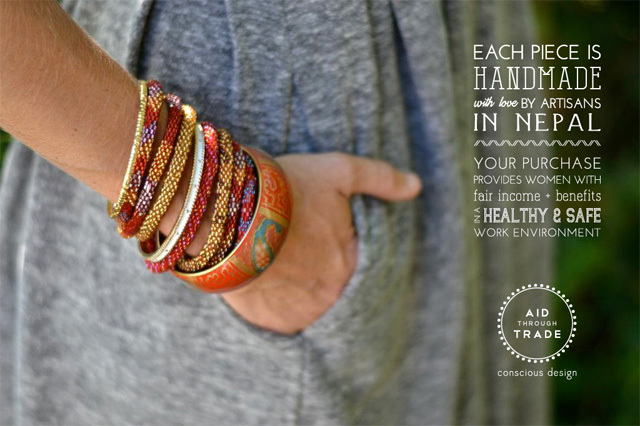 Each Aid Through Trade piece is handmade by artisans in Nepal under fair trade conditions. In fact, the founder of Aid Through Trade was also one of the founding members of the Fair Trade Federation. Above, I'm wearing three bracelets from Aid Through Trade's "Midnight in Paris" color way, but there are endless color combos and so many other neat pieces in their line, so I strongly recommend checking them out!You can purchase several colors- including the ones I'm wearing- on Amazon, and some of them are Amazon Prime eligible.